I loved the first couple I bought so I came back for more! These bottles looked stunning at my wedding filled with my home made cordials. I also use them every day for making iced teas, keeping cold water in the fridge and storing fresh juices. Buy a bottle brush with a long handle to make it easy to clean them. Just love this bottle fantastic shape and style. This is a lovely bottle and useful for all sorts of things. Very presentable and I use it on the table as well. I use it to keep made up powdered milk in which we prefer in our coffee. I use another one for home-made cordial and a third for home made ketchup. Fits well into your hand and fridge door. Great bottle and size! Reminds me of the old milk bottles made of glass! 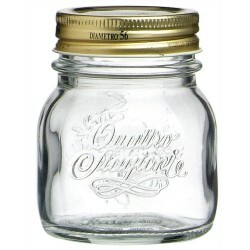 Bormioli Rocco Quattro Stagioni 150ml Preserving Jar. Comes with 56mm lid. 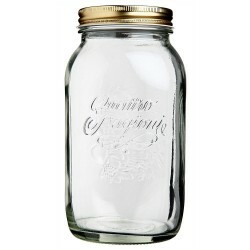 8.3cm high,7.5 cm round..
Bormioli Rocco Quattro Stagioni 500ml Preserving Jar. Comes with 86mm lid. 13.6cm high,9 cm round. 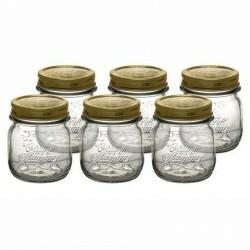 ..
Bormioli Rocco Quattro Stagioni Anfora Preserving Jar. 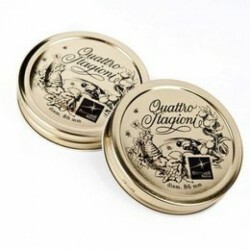 Old style Roman charm.300ml comes with s..
Bormioli Rocco Quattro Stagioni Anfora Preserving Jar. 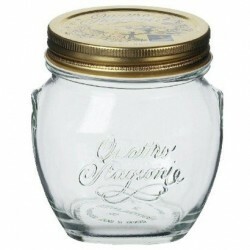 Old style Roman charm.500ml comes with s..
Bormioli Rocco Quattro Stagioni 1l Preserving Jar. Comes with 86mm lid. 17.1cm high,10.2cm round. .. Starting out with preserving or looking to upgrade your old and tired bottles? This set is the perf..
Bormioli Rocco Quattro Stagioni 700ml Preserving Jar. Comes with 86mm lid. 13cm high,9 cm round. ..